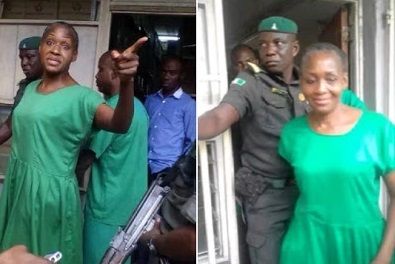 A Federal High Court sitting in Port Harcourt, Rivers State, yesterday granted Kemi Olunloyo bail in the sum of N1m. The court, which gave its ruling based on a bail application made by the counsel for the defendant, also ordered the accused to submit her passport. Olunloyo was arrested in Oyo State for allegedly publishing a story believed to be offensive to a frontline cleric, Pastor David Ibiyeomie. In his ruling on the bail application, Justice H.I.O. Shamah explained that the offence was bailable. Shamah noted that the accused must produce a surety, resident in the Port Harcourt metropolis with a verifiable address. “The surety should also be a civil servant not below level 12 and must submit his or her letter of employment and staff identity card,” he added. The case was adjourned till May 3, 2017.